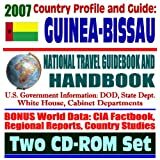 The Republic of Guinea-Bissau (Portguese: República de Guiné-Bissau) is a country in West Africa. It shares land borders with Guinea and Senegal, as well as having a coastline on the Atlantic Ocean. As of 2010, the population of Guinea-Bissau was estimated as being 1,647,000. The country's capital and largest city is Bissau, which had an estimated population of 407,424 as of 2007. Please leave a review to help us improve the products to learn how to better suit you. We value all feedback. Thank you. Whether you live, study or simply travel abroad, our Guinea-Bissau Vacation Journal is the most exciting and eye-catching way to keep all your travel plans and memories in one place! There is always room for you in Guinea-Bissau!